Developing leaders is comparatively easy. 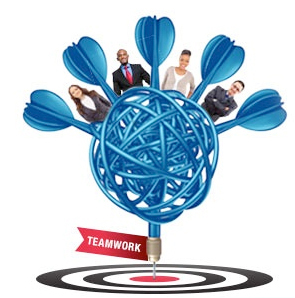 Developing teams…well that’s a different story – and here’s why. Any individual who is interested in becoming a more effective communicator (and this is the most fundamental and far-reaching skill of leadership) can practice the known skills that will make him or her easier to understand. Leaders can become more persuasive, and if they sincerely want to work on increasing their authenticity, they can genuinely become more trustworthy. It is simply a matter of exercising their own initiative. Their only real obstacles are internal –their occasional lack of willpower, the strength of their bad habits, their inability to focus their attention or muster sufficient energy. And if they don’t develop quite as rapidly as they wanted to their sincerity is not called into question and there is no embarrassment if their plans were private goals. Developing teams also requires the development of effective communication skills, however this time for a group of individuals all at the same time. This is definitely a much more difficult and public undertaking. At the very least everybody on the team knows that change is afoot, some kind of progress is expected, and this progress is going to disrupt the way power is currently balanced and what – engaged, coordinated, distributed, practiced, implemented, effectuated? All of these words come close but none exactly capture the idea, so perhaps we could say developing team effectiveness disrupts the way in which members communicate their power within the team. This usage is a little unusual but perhaps it captures the situation a bit more crisply. In these days of “do more with less” there are very few teams that are overstaffed. For everyone who has a spot on the team there usually is some specific expectation that they need to meet in order for the team to reach its goals. If someone isn’t happy with the way things are going (or if they don’t really know how to or want to do the role which they have been assigned) they can innocently make it look like someone else is to blame. We call this disassembling. Primates learn to deceive at a very early age. Attentive parents can tell when their child’s crying is a sincere expression of pain or a more general bid for attention. Attentive team leaders may not be quite so skillful at detecting what is going on between team members, and even when they do detect some potential disassembling they may not feel all that capable or inclined to tackle the conflict that will result when they attempt to let the responsible parties know that their behavior has been noticed. Most likely accountability has not been defined specifically enough to provide for effective evaluation. But like the developing leader, each team member can also suffer from a lack of willpower, bad habits, a lack of energy and/or the inability to focus their attention as well as they want. Even though some amount of this is normal and to be expected, for it to be noticed publicly is embarrassing, and embarrassment is just the surface expression of our deep instinct to avoid rejection. Primates do not like to feel excluded! Can you begin to see why developing emotionally effective teamwork is such a challenge compared to developing leaders? 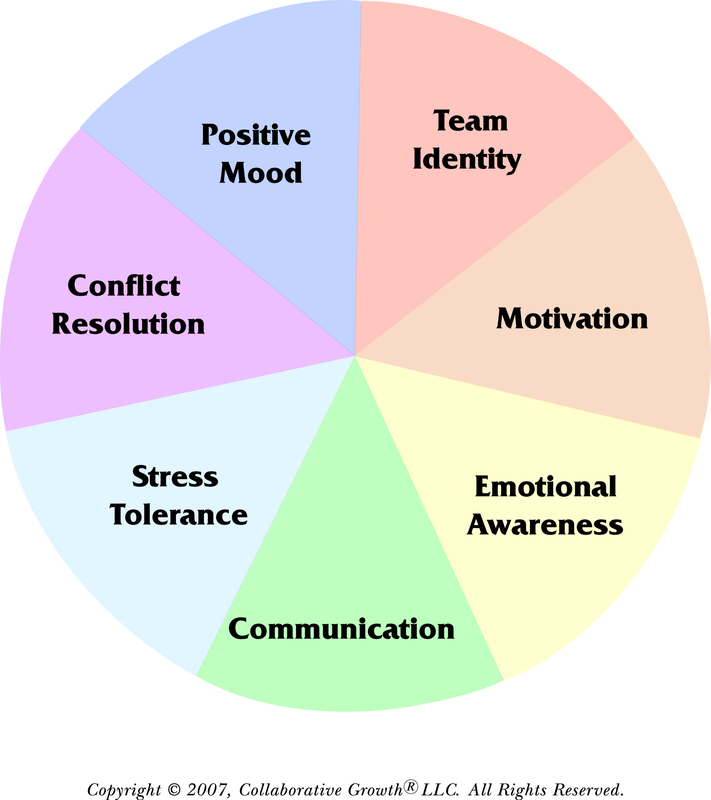 At Collaborative Growth we use a scientifically validated assessment called The Team Emotional and Social Intelligence Survey, or TESI to help teams be able to pinpoint where the real problems are. Then using our team communication training skills, developed over more than 20 years with all kinds of teams from the private and public sectors, we help the teams and their members and their leader get real! Once people understand the general ways in which people are wired to communicate and cooperate and compete this is not a particularly confrontational process. People enjoy discovering the effectiveness of the communication patterns that we teach, in part because these skills are every bit as effective at home as at the office. Utilizing a basic understanding of this information we can help team members deconstruct the triggers that activate those self-protective reactions which so often turn disingenuous, or manipulative, or outright intimidating. We coach all the team members on how to use specific communication language to acknowledge and transform the many kinds of conflict that have often been swept under the rug for a very long time, and because everyone is learning and practicing it at the same time the team itself begins to grow and self-organize holistically. As the team members learn how to use these language patterns to communicate their authentic hopes and fears they begin to express their displeasure about what isn’t working more openly, however now in nonjudgmental language. They know how and why to constructively reinforce the things they feel optimistic about. This begins to transform the tension into motivation. With continued practice teams find optimal ways to co-create and co-operate on their projects together, and they begin to evolve a collaborative intelligence that is intuitive in place of what was previously a closed and self-protective group think. The team you are on could do its important work even more effectively if there was less conflict and politics and more communication! The TESI provides guidance on how to get there.